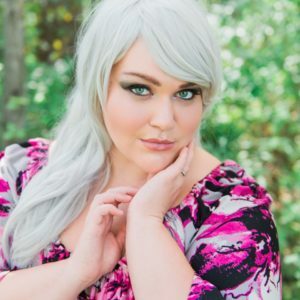 Maxine McDermand (aka Mackina) is a wife, mother, and internationally published full figured model who is an advocate for positive change from Sherwood Park AB. She is one of the first plus sized models fronting a national charitable campaign for Mary Kay Cosmetics. Maxine is also an accomplished runway model, print model and the subject of a documentary called Voluptuous Beauty that chronicles her journey from being bullied as a youth to her recent success. As a child and through her teens, Maxine was bullied by both peers and by family members. At the age of 13, she sustained a head injury, which resulted in depression, suicidal thoughts, feelings of inadequacy and self-harm. so they do not allow self-doubt and negativity hold them back from their dreams. In addition, she has started public speaking at schools in Alberta to promote anti-bullying awareness, to inspire positive change and to encourage self-acceptance. Maxine’s goal is to help make a difference in someone else’s life by opening people up to the idea of a brighter, more accepting tomorrow.